Is it finally time to give your home or office that cleaning you’ve been talking about for the past three months? Even in cases where you’ve been keeping up with cleaning chores everyday your property is bound to accumulate dust, debris and bacteria. It’s almost unavoidable. But is procrastinating on the deep cleaning just because it seems to be exhaustive the right thing to do? Not really. Why not hire professional move-out deep cleaning professionals? Like most people, your time is the most important to you. You are rushing between meetings, appointments and chores and a deep cleaning is not even the last thing on your mind. If you somehow manage to keep your room tidy, what about the rest of the house? If your desk looks great, what about the rotting carpet near the coffee dispenser? Since cleaning professionals are paid to get the job done, they have all the time on their hands. They don’t procrastinate-instead, they come in with a plan, know what to move, how to clean and do it within the time it takes—no rushing! Should you steam the carpet? How? Is it necessary to move the fridge? How do you get rid of the grout between the bathroom tiles? Will all of this make you go crazy? Most homeowners don’t know the answers to these questions. How can you, in the first place, when you have hundreds of other responsibilities in a day to look after? Professional move-out deep cleaning specialists are, well, specialists. Over time they accumulate skills and knowledge that you may not have. They know what to remove, what to move and how to get all sorts of tough stains off. 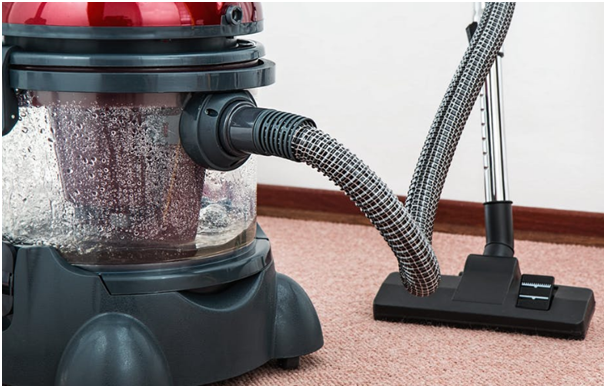 You probably don’t have a carpet steamer, or an industrial vacuum. Neither are you aware what cleaning solutions are ensure safety of your family once used. This is not the case with move-deep cleaner. They have a wide variety of state of the art tools that are pricey and specifically designed for different cleaning purposes. What are you waiting for? Give us a call at Excellence Janitorial to schedule your move-out deep cleaning appointment and experience what years of experience in professional janitorial and cleaning solutions is like!